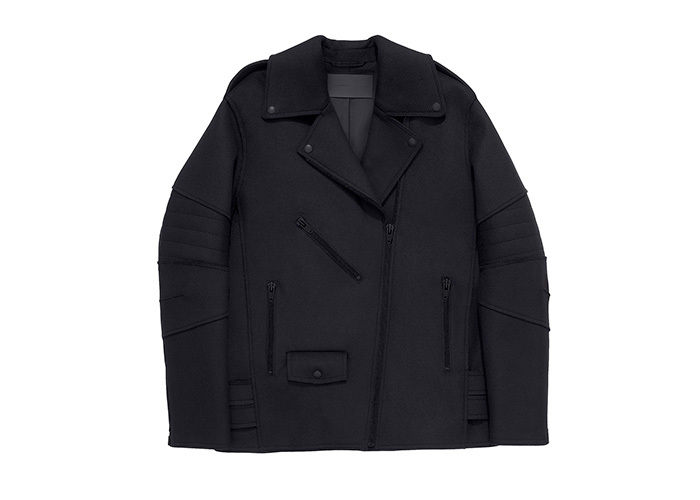 Finally, here’s the complete Alexander Wang x H&M women’s collection and price list! The women’s collection includes 38 garments, as well as accessories (how cool are the shoes?) and everyday objects like backpacks, yoga mat, goggles and boxing gloves. 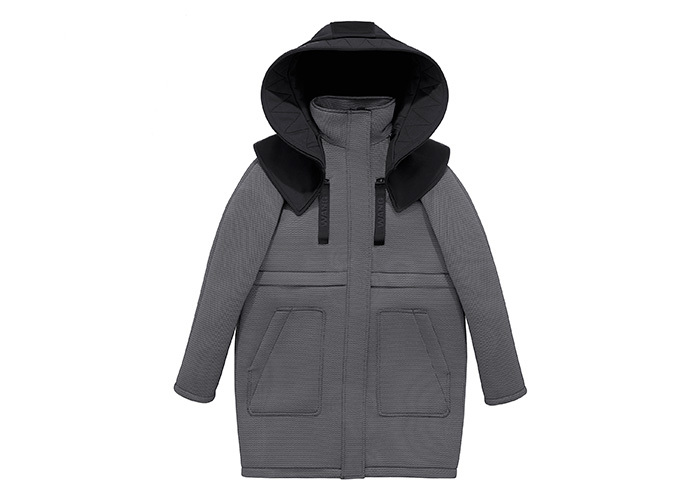 The range features technical outerwear, essentials (scuba dresses, sweatshirts, leather track pants, etc. ), athletic performance wear (crop tops, bikini, tights, quick-dry black running tops and perforated laser cut shorts, etc.) and objects. I lost count of how many pieces I want from the collection, how about one of each please?! Start making your wishlists! What’s your must have? Love it!! 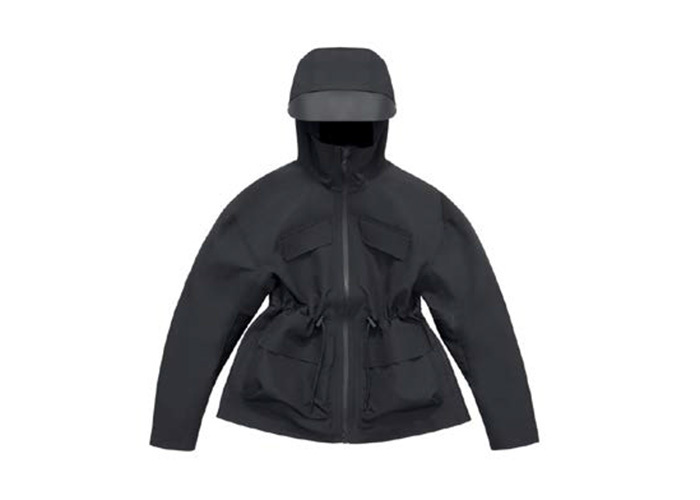 Technical outerwear offers utilitarian, protection, such as a black seamless welded water-repellent parka with a moulded hood curved like a baseball cap. 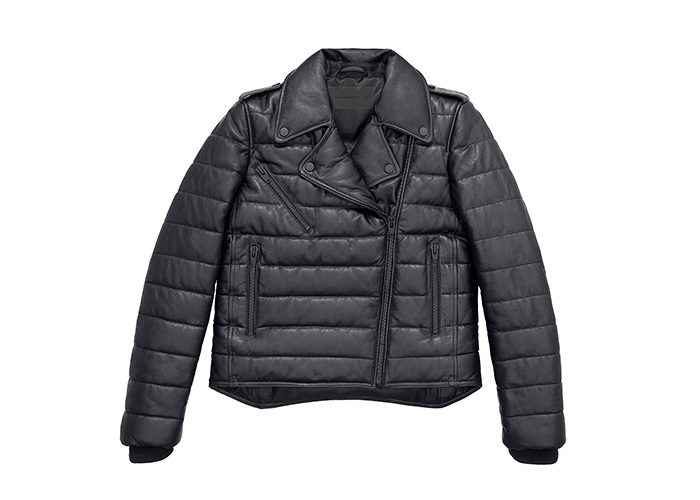 A grey jacquard scuba coat is a winter essential, while black motorcycle jackets come both oversized in scuba wool and as a quilted leather puffer. Performance details are used to create fashion pieces, such as the scuba dress with interwoven layers and a cut out at the waist with mixed fabrics, or the panelled leggings that create a dynamic patchwork from a technical houndstooth jacquard and stretch silver reflective. 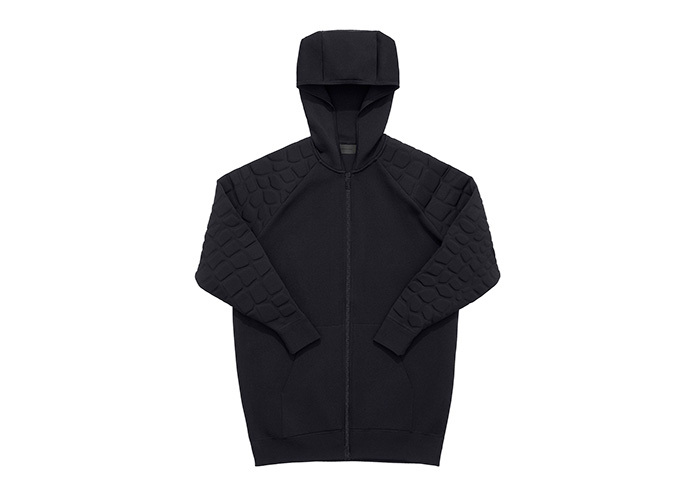 Alexander Wang’s signature experimentation with fabric innovation is seen throughout the collection, especially with the black foam injected crocodile patterned sweatshirt, and the scuba sweatshirt embossed with Alexander Wang branding in black and grey melange. 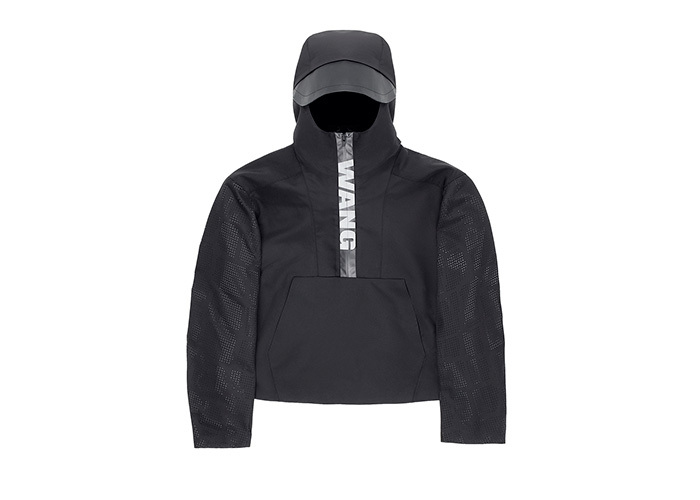 Wang´s understanding of the urban uniform is found in black scuba motorbike sweats and black leather track pants with tear-away snaps down the sides.